Tens of millions of Americans and their employers pour money into pension plans each month, counting on those funds to grow and to be there when needed at retirement. But a time bomb awaits. The bulk of U.S. pension funds are dangerously underfunded, and the assets are often invested in securities that have bleak prospects for providing income that keeps up with a general decline in purchasing power. The innovation at American Express caught on. By 1929, 397 private sector pension funds were in operation throughout the United States and Canada. 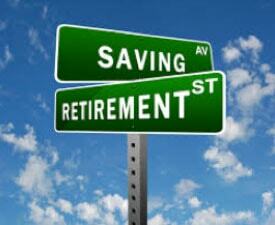 As of 2011, according to the Bureau of Labor Statistics, 18% of private sector workers are covered by pension plans. At the end of 2015, the value of U.S. pension funds was $21.7 trillion. Millions of Americans will rely on pensions once they’ve reached the age of retirement. Pension fund managers have a fiduciary duty to safeguard funds against foreseeable risk. With the practices of today’s Federal Reserve, there is no risk more foreseeable than inflation, but these fiduciaries are not fulfilling their duty to protect against this significant risk by investing in assets which are specifically suited to defend against the perpetual loss of the dollar’s purchasing power. Chief among these assets are physical gold and silver, the most reliable inflation hedges from time immemorial. As the unbacked Federal Reserve Note continues to be abused and devalued, it becomes clearer every day that pension funds should increase their precious metals holdings. According to the Asset Allocation Survey by the U.S. Council of Institutional Investors, only 1.8% of pension fund investments are in the broad commodities category, which includes monetary metals. That means only a fraction of 1% in pension assets are held in gold and silver. Instead, pension funds today focus their investments in U.S. Treasury securities, investment-grade bonds, stocks, real estate, and other interest-rate sensitive assets. Whether it is an individual investing $1,000 or a fund manager in charge of investing millions of dollars, risk management is crucial. Fund managers typically will not invest in extremely risky investments for fear of losing their investment, and potentially, their jobs. 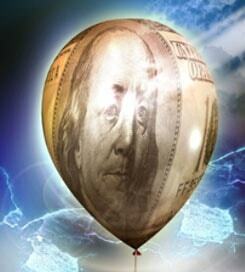 Conventional wisdom is that government bonds are paramount in safety and security. But these bonds, as well as the Federal Reserve Note “dollar” itself, are backed by nothing more than the full faith and credit of an insolvent U.S. government. Washington D.C. has accumulated astronomical debts of more than $20 trillion and total long-term entitlement obligations now top $100 trillion. Officials will only be able to “meet” these long-term commitments by inflating them away. That is why money creation at the Federal Reserve has become standard operating procedure. Gold, on the other hand, appreciates as the dollar’s value falls, not to mention offering resilience to financial and political crises.